Paint your love all over my world…. It’s been a rough week & I’ve failed entirely to get out of Jammies. Hence, no exciting outfit posts. 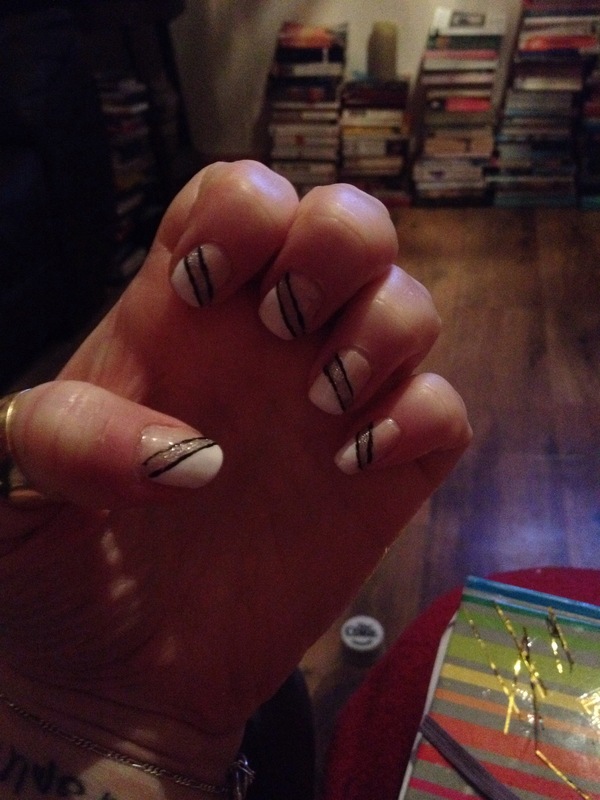 I have however created some rather lovely nail designs. 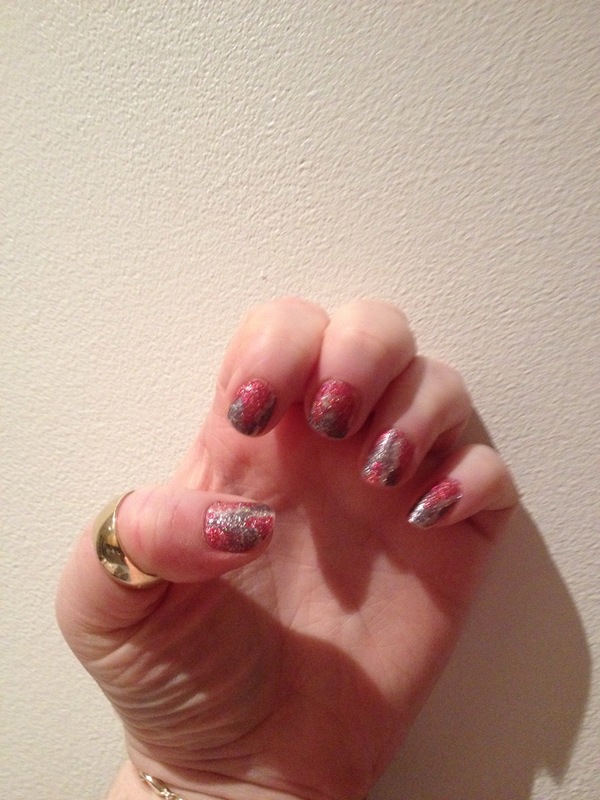 So, in lieu of a startlingly original outfit, I give you my delightful nails. These are OPI lacquer wraps. They’re stick on wraps made from real nail polish, so they look better & last longer. I love them. These are all me & some nail tape. A little colour helps when you feel crap & it’s minus 5 outside. 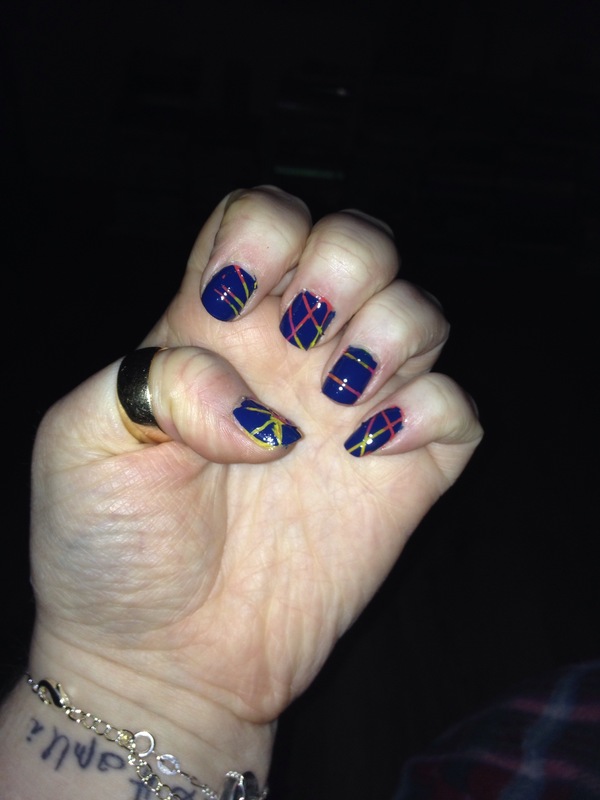 I’m currently sporting this manicure, which is a pretty classic design for me. This one was all free hand & I’m pretty chuffed with the results.